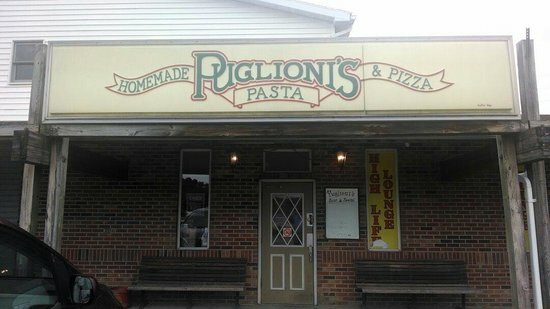 Enjoy open, warm, family-friendly dining at Greater Morgantown’s Italian Restaurants. 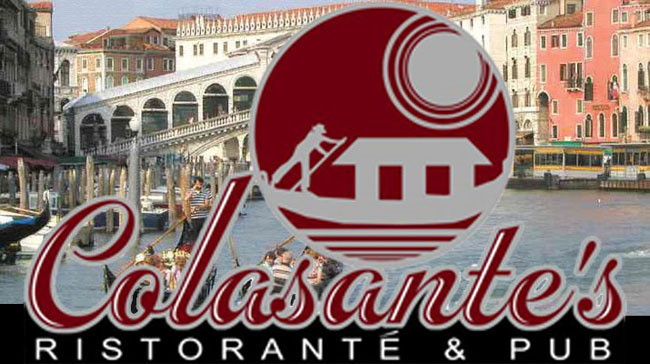 Reminiscent of Italian cities such as Florence, Sicily, Rome and Naples, diverse menus offer soups and salads, traditional pasta dishes, steak, chicken and seafood dinners, as well as flatbread pizzas. Pair your meal with a glass of one of the delightful wine selections! 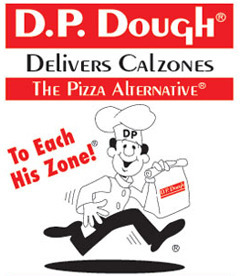 Catering services are available. 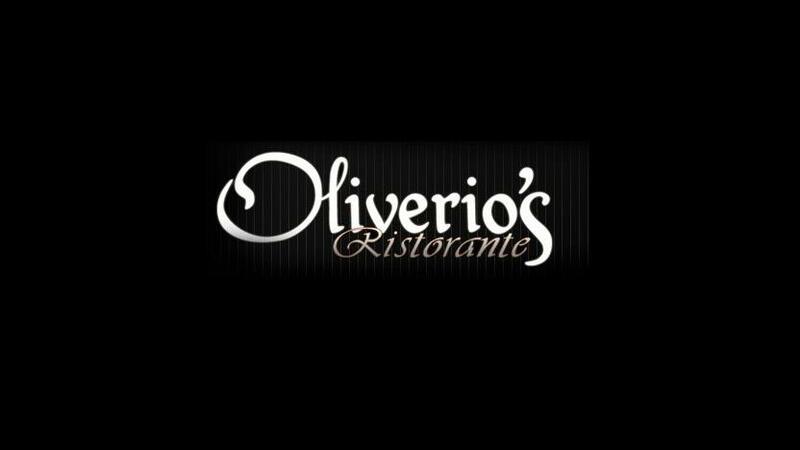 Casual space for classic Italian dishes including a wide array of pasta & pizza in low-key digs. 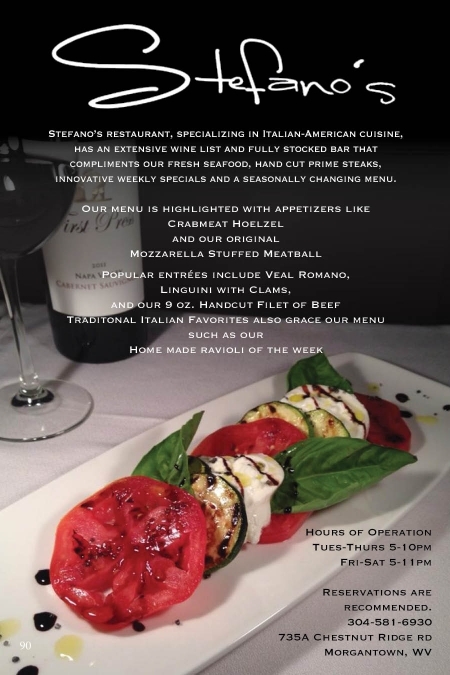 Stefano’s restaurant, specializing in Italian-American cuisine, has an extensive wine list and fully stocked bar that compliments our fresh seafood, hand cut prime steaks, innovative weekly specials and a seasonally changing menu. 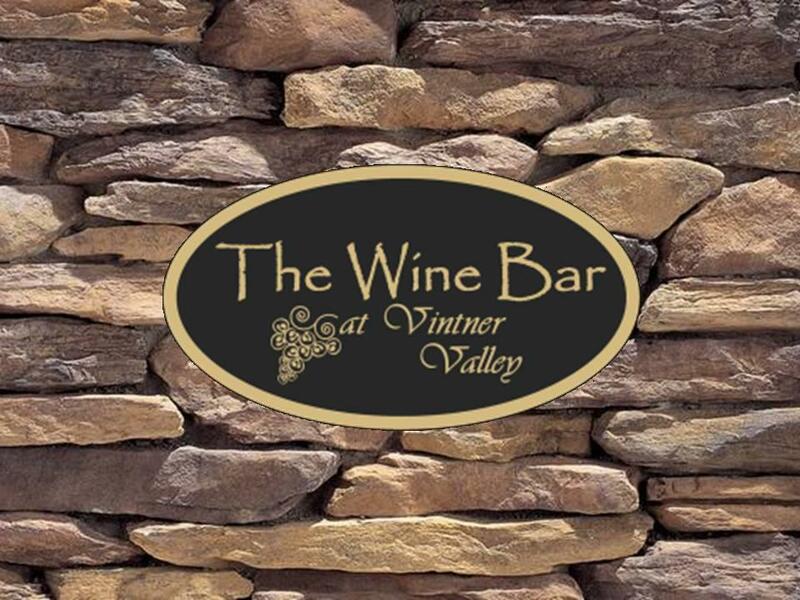 Morgantown’s premier destination for specialty wines and delicious Italian tapas.